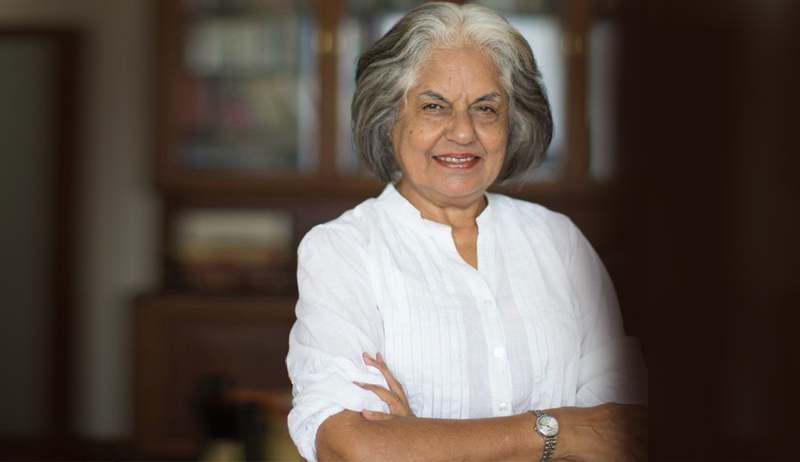 After petitioning the Supreme Court for live streaming and video recording of cases of "national importance", Senior Advocate Indira Jaising has now started a change.org Petition with similar demands. Addressed to the Ministry of Information and Broadcasting, her Petition says, "The Supreme Court has advanced the human rights jurisprudence of this country and heard pleas of citizens on environmental concerns, gender justice issues, and ensured that these rights are protected equally for all. All of us cannot be physically present in New Delhi to hear the arguments of the lawyers, or the concerns of Judges on such issues. Technology will help us bridge the gap and make it possible to access the Supreme Court and virtually enter the court room even when not present." Much like her Petition before the Apex Court, her change.org petition makes reference to the telecast of proceedings by both Houses of the Parliaments and asserts, "This has brought awareness about the functioning of Parliament, all State Assemblies and our elected representatives. The higher judiciary all over the world provides means for viewing their courtroom proceedings, which enhances the transparency in its working. Live streaming of cases of national importance would do the same for the Supreme Court of India." She also cites the example of us being able to see the proceedings before the International Court of Justice in the case concerning former Indian Navy Officer Kulbhushan Jadhav, who was sentenced to death by a Pakistani Military Court on espionage charges. Thereafter, highlighting the benefits of such live streaming and recording, she asserts, "If the Supreme Court approves of the prayers in my petition, it will help increase awareness and bring transparency in the decision making process. It will inspire confidence in the judiciary. The people of this country, can hear first-hand arguments and concerns raised in the court. The next generation of lawyers and citizens will also gain from the immense educational and archival value of the landmark cases. This is our chance to bring in the new era of the justice system, in which we participate by getting access to information. Join me in this movement to strengthen democracy and watch the Supreme Court of India develop human rights jurisprudence, which impacts us all." In her Petition before the Apex Court, Ms. Jaising has asserted that live telecast of such cases will increase access to courts, and will “negate the chances of any misreporting, errors or second-hand information”. The Petition, however, acknowledges that the Court may place restrictions on such videography in cases involving countervailing interests of privacy, such as family law and criminal law cases. She further contends that the "right to seek, receive information including live streaming of Supreme Court proceedings" is a Fundamental Right guaranteed under Article 19(1)(a) of the Constitution. She explains, "...our constitutional fabric is such that we accept the cardinal principle that justice must not only be done but seen to be done and thus it becomes essential that persons that may be affected by the Supreme Court’s decisions be able to access the same vide live streaming and video recording. Citizens including the Petitioner herein has a fundamental right under Article 19(1)(a) to receive information by way of live streaming of proceedings in the Supreme Court of India." "Judges don't need privacy in Court proceedings"